Connecting Huntsville families with events, activities, and local resources. Looking for unique gifts? #ShopLocal using our annual Hometown Huntsville Holiday Gift Guide! Here’s all the yummy places you can #DineHsv with kids for Huntsville Restaurant Week this year! 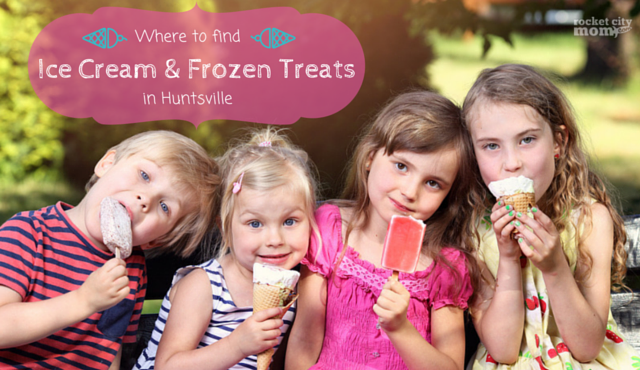 All our favorite places to get ice cream in Huntsville. TREAT YO’SELF! When you buy your holiday gift from a small local business you know it’s going to be unique. Here’s our favorite things when we shop local Huntsville. From your Black Friday and Small Business Saturday shopping to services and activities all year long, please consider these folks first, because they believe in us so that we can continue to make parenting in Huntsville (and the surrounding areas) easier. It’s almost that delicious week where you can get out of the kitchen and into some of your favorite restaurants instead, all in the name of community pride & support. Huntsville Restaurant Week is around the corner and it’s the perfect opportunity to #DineHsv with your family. During the dog days of summer, there is nothing like a decadent ice cream cone, milkshake, fro-yo, or frozen treat to take the edge off a hot day. July 17th is National Ice Dream Day, and we’ve got a list of where to find frozen treats all over Huntsville & North Alabama! The new Old Black Bear Brewery is a taproom, restaurant, and coffee shop found in downtown Madison. Our family food review correspondent went with his team to check it out. We challenge you to SHOP LOCAL this year as much as possible. 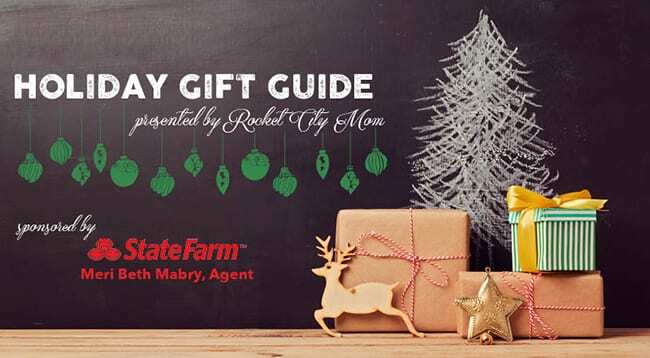 Our Huntsville Gift Guide will help you find the perfect gift for your loved ones, all with a focus of supporting small businesses owned & operated by your neighbors. Now, granted, Rocket City Mom is NOT a food blog. But we do love to feature local restaurants that provide family-friendly fare in our Restaurant Reviews, and we were super stoked to be asked to participate in the Rocket City Food Blogger Tour again this year! Hop Onto the Peter Cottontail Express! © 2010-2018 ROCKET CITY MOM MEDIA GROUP, LLC ALL RIGHTS RESERVED. Rocket City Mom™ name and blog content, including images and writings, are protected since first use, October 2010. All content on this site is protected and may not be reproduced without permission. Site developed by : Jennifer B Productions.